Cool template. Retweet button and facebook share button already added. my rating for this template is 5 ( five ) star. Next time I will use it... Thank's for sharing. Nice shearing. I like your entire templates. Your work is very great. Thanks. Many thanks, I think, I think I'll use it for my second site, I'll tell you when it will be ok, some seconds, or hours, or days... it depent of my understanding ;o) I use Google translate! Awesome theme!!! its like wordpress style. Great slide features. You alway surprise us with something like this. My problem is to configurate "Recent post" and "Recent comment". I thank you a lot if you can give me some track and excuse me for my english. I like the look of the template, very nice. How to configure "Recent Posts" and "Recent Comments"
Both are good..but I prefer this one..coz this one looks more professional and fast loading. Add a new gadget > Feed > enter your blog url.. and it will enable the widget..then save it! I am putting some of the attributes into my blog new template. Thanks for sharing. Awesome, soon i'm launching my another blog whose niche will be everything. i like that template and will use in my new blog, name is not decided yet! I am using "Mind Blowing Magazine style Template"
As U said in above I Configure the Recent Comments, but it is not showing. I put that in Right most side bar. Please see once. I think u already gave that in the template as Recent comments gadget but when I click to edit it is showing "Configure Feed" and no options there.. Plz solve this..! Above issue Solved..! It takes some time to get effective..! What abt the gadget U already gave in the template by default "Recent Comments" Where we have to cofigure that in "Edit HtML"...! One more Issue raised in that template(Mind Blowing Mag Template) if we put the followers in Right most sidebar it wont work, it is showing No Followers So I put that in Bottom, Its working fine. Can u solve this? It will work.. Make sure you change the width and height of the followers widget..otherwise..it wont fit in that sidebar.. :) try again. Width is 250px and height is your choice.. try different heights.. it depends on your followers count. Kranthi,how may i contacted u privately ? do u have facebook ? i really like this templates,but i want u to make another one for me,,i mean,just for me,maybe i just want the color to be changes and setting up to my blog,of course i'll pay ! thanks . Nice looking template! But I have a problem with the logo. There's twice Novinture in the logo, I can remove one of them but not the other. Can you help me with this? How do you change the title?!?! Great template. thanks for sharing. Simply amazing. Are you gonna release different versions of this anytime soon? I would love a blue one! thanx for the beautiful and professional template. can any one say how to edit the template code so that we can see an read more icon at the end of each post summary on home page ? Its really brilliant Adsense ready blogger template. thanks for such a great template. but i want to change the fee subscription logo.in that it always shows that 2994 readers.how to remove this? ?/please help me. here if i enter email address and press enter,it will show that "The feed does not have subscriptions by email enabled"
but if i click on image that is readers in which it shows 2993 readers,then it will show for subsribe.please solve this problem ,i m waiting.. I think you haven't enabled Email Subscription option... login to Feedburner and activate it first. Hi Kranthi, do you know what's going on with the logo? bro thnx for reply i solved this issue. can you please tell me how to remove no preview image in post.it looks bad when we dont add any image so please. please make me header image for this. I like the list of posts that got little pictures on the left. 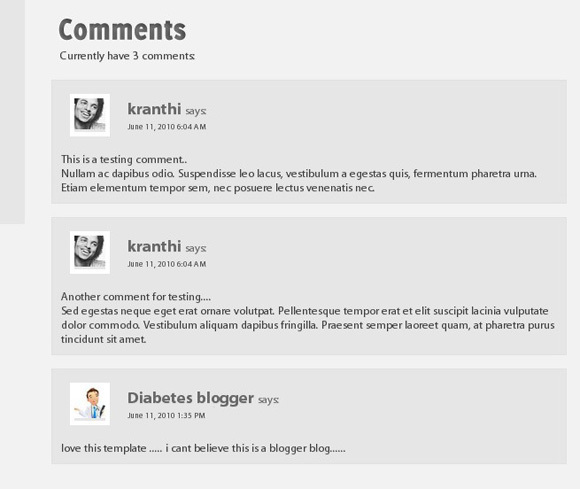 Is the theme got the plugin that allows writing a post and add picture easily? It always amazes me how some of you guys work hard for us other bloggers to share in the wonderful work you do. You could have developed these great templates for yourself, but you decided to give out for free. To you and all those others who work hard for the good of others, it is a mighty GOD BLESS from me. bro can we add more slides to this template.Actually i tried to add but it dint worked because if we add 4ththumbnail then it will come outside slide area,so it doesnt look good.so any suggestions? and also please tell me how to remove no preview image. Hi mate.. I don't have a copy of my previous template... It has lots of bugs.. that's why I converted to this..
after I upload, there's always a warning that Pesan error XML: Content is not allowed in prolog.. can you help me? Beautiful work. But that extra space on the right side should be fixed so everything fills the screen exactly. how do i add my own logo to the template? Great! I did it at http://smkpu1.blogspot.com and I'm very happy. Thanks a lot! I have just uploaded your template and it's amazing..
Do you tell me why it's happen.. If You want to see what happen blow is the link..
amazing template...i seen thousand of templates & used 60 of templates,,,but it's so stunning. for 6 months i am using this templates. thanks for sharing this. & one more can we enhance comment texarea as it's so irritating. Like disqus. i used the disqus but their is branding. WO! I like the template. 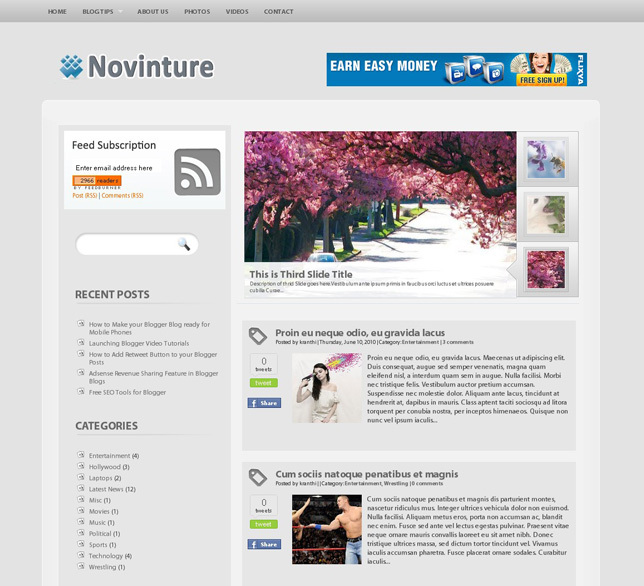 Please look my blog & comment how my blog look like with this mind blowing template!